In 2008, in a bid to visually illustrate to children and pupils the concept of power and energy, a bicycle generator was built as part of the extracurricular Windmobile project. 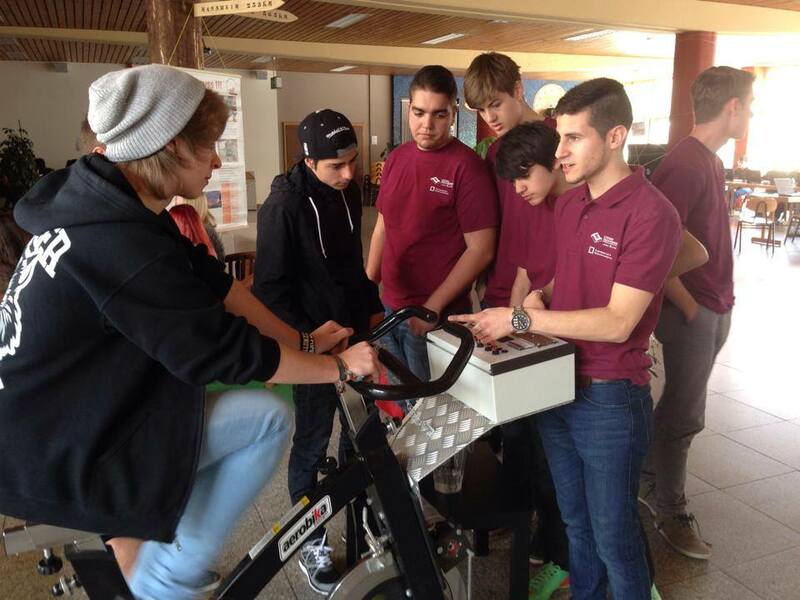 This involved fitting an old fitness bike with a generator so that electrical energy was created when the pedals were turned. 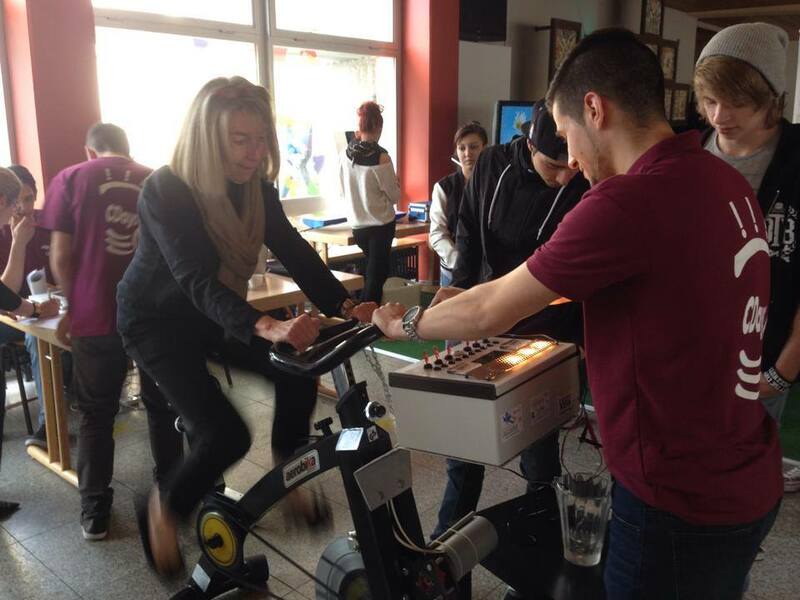 The experiment consists in one pupil riding the bike while the generator is electrically charged with light bulbs. The more bulbs are switched on, the more difficult it becomes for the pupil to maintain the pedal frequency. This experiment allows pupils to get a real feel for power, since they clearly experience how difficult it is to produce a greater electrical output over a prolonged period of time. In recent years, the bicycle generator has served the technician classes T2EE and T3EE for putting projects foreseen within the school curriculum into practice. One project, for instance, saw the creation of a switchboard with built-in lights and connection options for a radio or immersion heater. In subsequent projects carried out by class T3EE, an electronic circuit was developed for measuring the generator’s current, voltage and rotational speed. This project subsequently gave rise to another project, which – from the measured data – determined the electrical output, the pedal frequency and the power produced by the individual. All the measured and calculated data is transferred with the help of a display on the bike itself and via data transmission to a bigger screen. This task was achieved during the 2012/13 academic year by Ben Schmit and Patrick Hoffmann, two pupils in their final technician training year. 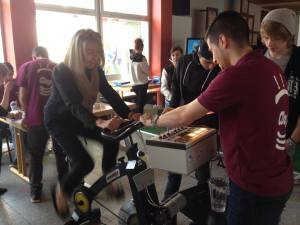 Ever since 2008, the bicycle generator has been a permanent fixture of the Windmobile@school activity and is often called upon in physics lessons to visually illustrate the concepts of energy and power.